Without any fear of repercussion or rejection, Thomas and Sarah lead you through a compelling, never-before-seen exposure of widespread fraud in mainstream and alternative medicine in Defy Your Doctor and Be Healed. This book is meant to be more than just an investigation of fraudulent medicine -- it's intended to save your life. It's sure to be provocative as you'll learn much of what you're told or sold by medical 'authorities' and the media can be reduced to cleverly devised narratives or pathways for profiteering. As you learn the ins-and-outs, you'll be given the tools and knowledge to take charge of your health with confidence. As the veteran "health detectives" of Health Wyze Media, Thomas and Sarah have earned enduring reputations for asking tough questions and getting unpopular answers. They are the producers of The Health Wyze Report, a hard, in-depth look at the truth behind today's orthodox and alternative medicine, and "The Cancer Report", a documentary about the cancer industry and its alternatives. Defy Your Doctor and Be Healed is the culmination of seven years of in-depth, uncompromising medical research and reporting. Its premise is simple: it approaches standard and alternative medicine from a scientific standpoint, examining their goods and ills. It also asserts that the human body has natural healing abilities and that the answers to most of our health dilemmas are so close to us that we're unable to see them. Your doctor is not your healer. He is your dealer. That is why diabetes drugs cause full-onset diabetes, cholesterol medications cause sudden-onset heart attacks, and the radiation from cancer screenings cause cancers. The system is designed to be self perpetuating, and to prevent us from ever being free. There is no money to be made from healthy patients, nor is there profit in dead patients. The money is made somewhere in the middle, in patients who are alive, but barely. The detectives from Health Wyze Media have condensed seven years of research concerning all of the things that doctors never tell us, and they teach how to break free of the medical treadmill. 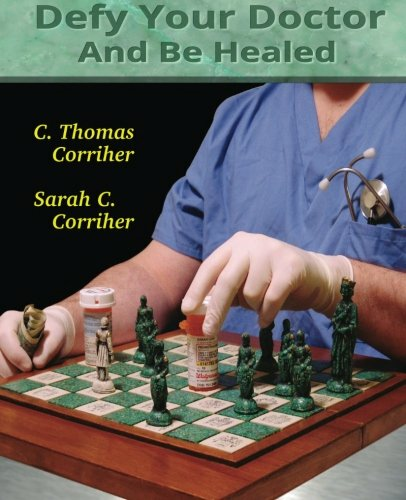 Natural alternatives are explained in every chapter, to demonstrate the healing power of God's natural medicines. By discovering how corrupt the system is, readers will never see things the same way again. The medical establishment is one of few industries that remains well respected, because it has cunningly been able to manipulate the public and the media -- much more so than any other industry. As one of the hundreds of examples given in the book, cancer patients with no treatment at all statistically live four times longer and have a better quality of life, making virtually any alternative more effective. The medical industry's own mortality census shows that properly prescribed medications cause more deaths in the United States every year than any war in U.S. history, and this omits the mistakes and deaths by surgery.